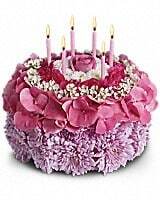 Your Special Day in Scarborough ON - Flowers in West Hill Inc.
Tell the birthday girl to make a wish on these candles! 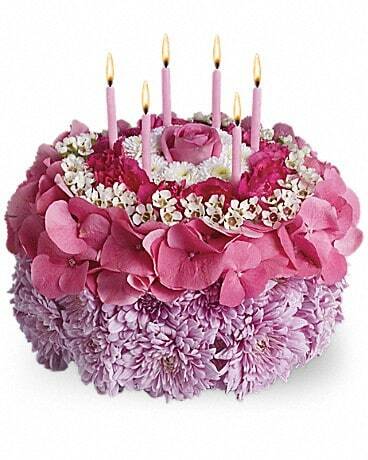 Made entirely of fresh flowers, this delightful "cake" will really make her day special. 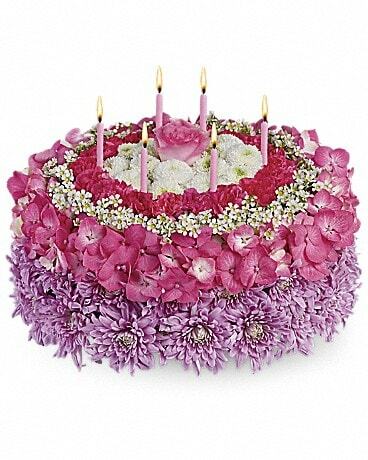 The recipe for this cake includes a pink rose and hydrangea, hot pink miniature carnations, white button spray chrysanthemums and waxflower and lavender cushion spray chrysanthemums. 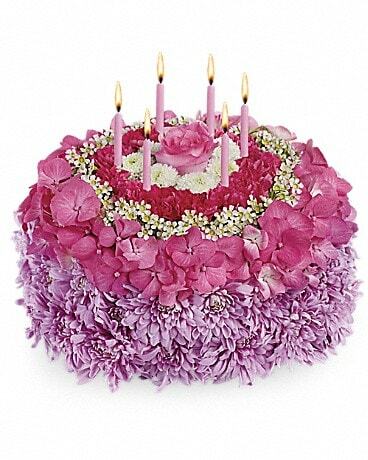 This tasteful arrangement even comes with its own hot pink candles. 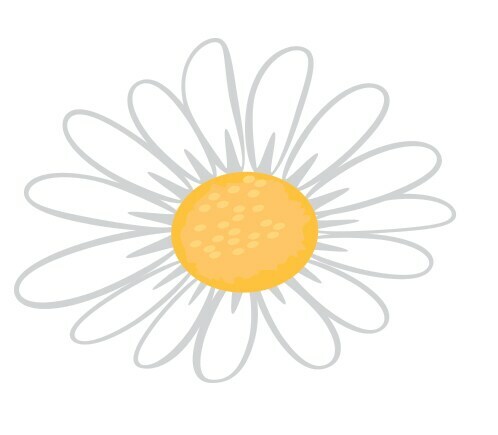 It's everything a girl could wish for!